There is no need to wait until you’re here to find out what you’d like to do. Check out the campaign offers on activities, flights, cruises, and places to stay under the northern lights. All top destinations for northern lights sightings present activities, tours and packages for experiencing this nature phenomenon up close and personal. Experience the northern lights from September to March and combine it with other seasonal activities. Explore nature from a dog sled, or by snowshoes, go on a moose safari or an exotic whale safari. If you feel the need for speed, join a RIB tour or ride a snowmobile under the northern lights. Learn to ski like a Norwegian, go ice fishing with a guide, or visit the world’s northernmost whiskey distillery Aurora Spirit, If you want to learn about Sami, Kven and Norwegian culture, there are several opportunities in the region. Pick up in Tromsø, accommodation, tasty local food, exciting activities in small groups. When it comes to planning a northern lights trip, there are several types of tours to choose from. Whether you want to enjoy the northern lights in company with your closest friends, the love of your life or while exploring the arctic wildlife, all in spectacular natural surroundings, there is a tour for that! From late August to early April, there is a great possibility to experience the green lady Aurora dancing over the sky, as long as it is dark outside and clear weather. On Tromsø’s official travel guide, you can choose from the widest selection of northern lights tours. Join a 26-hour all-inclusive adventure and learn how to drive your own snowmobile. You start with a 2-hour snowmobile photographic safari along the beautiful Lyngen Alps. After which you will have lunch followed by check-in to the private Crystal lavvo and some free-time maybe for cross-country skiing or snowshoeing. At 7.30 pm there will be a short photography workshop and dinner, followed by a northern lights chase. Difficulty level: medium. Including: snowmobile excursion, meals, accommodation, transport, tripods, warm clothing and helmets. Few places can compete with the beautiful undiscovered fjords of Northern Norway during winter. The snow-covered Lyngen Alps rising from the sea is an impressive sight in itself, and if you are lucky enough to witness the northern lights, you will have a memory for life. Join a 4 or 5-day cruise with the expedition vessel MV Quest and discover the fjords, the northern lights, and arctic wildlife all in one package. Book before 31 December 2018. All inclusive (flights and beverages sold separately). Travel period: 29 January–26 March 2019, and 31 October 2019–26 March 2020. 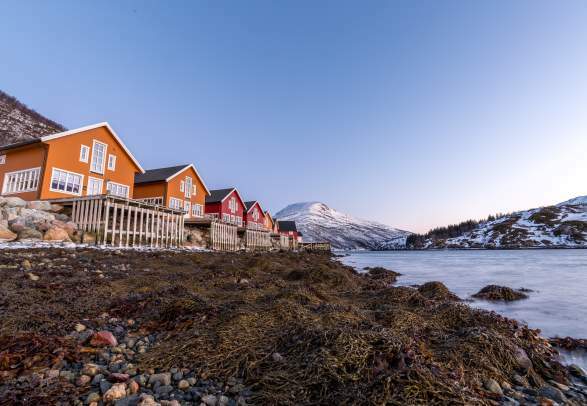 Only 30 kilometres from Tromsø airport are six modern, high standard, fully equipped, self-catered shoreline cabins. The cabins are rented on a private basis and can take 2-6 persons each. Price depends on the number of persons in a group. This is the ideal location to explore the northern lights, as several local providers offer winter activities like dog sledging, ski touring, nature safari, and much more. Transportation to and from the airport/Tromsø city is available upon request. The price is for 2 persons in a cottage for minimum 2 nights, and includes: made-up beds, towels, final cleaning and electricity. Week offer: Stay 7 nights pay for 6. Ski to the sea with breathtaking views and enjoy the strong contrasts between mountains, fjords and winter landscapes. The Narvikfjellet ski resort offers great areas for children and beginners, as well as steeper slopes and challenging off-piste alternatives for the more advanced skiers. With several lifts and a brand new gondola, the options are plenty. Stay comfortably at Scandic Narvik, an urban four-star hotel, with views of the majestic mountains, fjords and of course the city of Narvik. Season: from 21 December 2018 – 12 May 2019. Opening Hours: Monday – Friday: 12pm – 8pm, Saturday – Sunday: 10am – 5pm. Includes: one night at Scandic Narvik, breakfast and day pass. Only 18 miles from Tromsø airport are six modern, high standard, fully equipped, self-catered shoreline cabins. The cabins are rented on a private basis and can take 2-6 persons each. Price depends on the number of persons in a group. This is the ideal location to explore the northern lights, as several local providers offer winter activities like dog sledding, ski touring, nature safari, and much more. Transportation to and from the airport/Tromsø city is available upon request. Experience a winter whale safari with 100% whale guarantee. Whales are one of the main attractions in Vesterålen, and there are several opportunities for a once-in-a-lifetime encounter. Join Whalesafari Andenes and explore the island of Andøya in Vesterålen through one of their tailor-made packages with activities like whale watching, northern lights hikes, dog sledging, introduction to Sami culture and reindeer interaction, and snowshoe excursions. Accommodation and transport are included. Available for individuals and groups. Children age 5–13 NOK 795, age 1–4 NOK 495. Stay in a cosy waterfront rorbu cabin idyllically located between the fish landing station, quayside buildings and fish racks. Enjoy the peace and quiet of the sea and the view of the tall Lofotfjellene mountains. Join northern lights hunts and learn basic techniques for photographing this natural phenomenon. Package includes: Three nights in a double room, three breakfasts, and two Northern LightsHunt™. Prices are based on minimum two persons. valid 1 September–22 December. From 23 December–31 March from NOK 4,835. – Your northern lights base camp. Experience the aurora from the comfort of your private lodge. With no light pollution and an open view to the north, Hov at Gimsøy may be one of the best places to experience the northern lights in Lofoten. Here, you will be offered accommodation in brand new lodges overlooking the beautiful white beach. All meals are served in the cosy new restaurant at Hov Gård, where they also show a video about the northern lights every evening. You can also join guided riding tours during the day or under the northern lights. Per night, including: bed linens, towels and cleaning. Join Whalesafari Andenes and explore the island of Andøya in Vesterålen through one of their tailor-made packages with activities like whale watching, northern lights hikes, dog sledding, introduction to Sami culture and reindeer interaction, and snowshoe excursions. Accommodation and transport are included. Available for individuals and groups. Children age 5–13 NOK 795 (approx. 97 USD), age 1–4 NOK 495 (approx. 60 USD). Stay in a cozy waterfront rorbu cabin idyllically located between the fish landing station, quayside buildings and fish racks. Enjoy the peace and quiet of the sea and the view of the tall Lofotfjellene mountains. Join northern lights hunts and learn basic techniques for photographing this natural phenomenon. Package includes: Three nights in a double room, three breakfasts, and two Northern LightsHunt™. Prices are based on minimum of two persons. valid 1 September–22 December. From 23 December–31 March from NOK 4,835 (approx. 595 USD). Here, you will be offered accommodation in brand new lodges overlooking the beautiful white beach. All meals are served in the cozy new restaurant at Hov Gård, where they also show a video about the northern lights every evening. 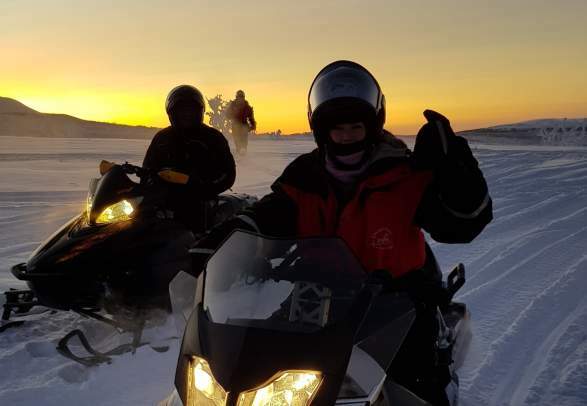 You can also join guided riding tours during the day or under the northern lights. The tour starts at 8 pm with departure by bus from Bodø city centre. Here, you will receive information about the tour and watch a movie about the northern lights. Upon arrival at the viewpoint, you will be served a hot beverage and some snacks, before taking in the magic of the northern lights. The return to Bodø city centre is at midnight. Remember that warm, insulating clothes and shoes are necessary. Woollen mittens, hat, and a scarf will make you feel even better. The tour starts at the hotels in Bodø city centre, and you can book the tour at your hotel. Including: round-trip transport, drinks, snacks, guiding by driver, movie and head-lamp. Join Meløy Adventure for a week (Saturday–Saturday) just above the Arctic Circle in Helgeland, an ultimate playground for ski touring with its numerous powdery peaks. The week will be finished off with a stay at the authentic Støtte Brygge, enjoying local food and testing sea kayaking. Meløy Adventure will be your professional guide and will make sure that you get to experience the best peaks and conditions. The offer is valid from January to May 2019. Including: airport transportation, double room accommodation, meals, kayaking equipment and guided tours. “Out in the polar night” offers snowmobile safari, northern lights hunt, and dinner in a Sami lavvo all in one package. You will be dressed up in warm winter clothing and guided through the Varanger peninsula where you might get to see the northern lights. The tour ends in a Sami lavvo where you will be served a delicious meal made from local ingredients. Travel period: 1 December – 20 April. The tour starts in Vadsø. Maximum of 8 guests on each tour. Minimum age is 18 years. Price is based on 2 persons in a double room, including: snowmobile, warm clothing, set menu dinner, breakfast, return transfer. The tour starts at 8 pm with departure by bus from Bodø city center. Here, you will receive information about the tour and watch a movie about the northern lights. Upon arrival at the viewpoint, you will be served a hot beverage and some snacks, before taking in the magic of the northern lights. The return to Bodø city center is at midnight. Remember that warm, insulating clothes and shoes are necessary. Woolen mittens, hat, and a scarf will make you feel even better. The tour starts at the hotels in Bodø city center, and you can book the tour at your hotel. Sleep in comfort and style near the northern lights. Scandic is the largest Nordic hotel operator with a network of 230 hotels in 7 countries, including over 80 hotels in Norway. Join Scandic Friends and enjoy 20% off most weekends and selected holidays. Whatever way of travelling you prefer, the kingdom of the northern lights is easily accessible. A relaxed, stress-free break or an action-filled adventure? Fly to Northern Norway with Widerøe and experience the holiday of your choice amidst Norway’s must-see nature attractions. Sailing through Arctic Norway on a twelve-day round trip with Hurtigruten gives you the best chances of seeing the aurora borealis dance across the sky. Activities in Northern Norway caught on tape. 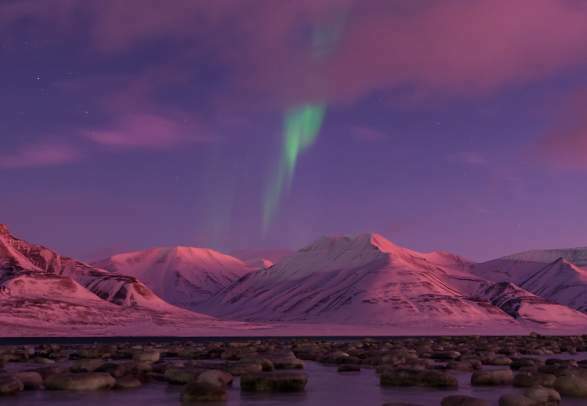 Experiencing the unbelievable colours flashing across the Arctic sky is on many travellers’ bucket list. Few places on earth offer more ways to witness the aurora borealis than Norway. Northern Norway is by far the largest and most sparsely populated part of mainland Norway and stretches from Helgeland in the south to mainland Europe’s northernmost point near the North Cape. We want you to be happy in Norway, and enjoy your time here as much as you possibly can. Happy guests come back, and before you know it we have made friends for life. Makes sense, then, to share our best tips to make your stay a good one.